In Enseo's eighteenth year, the company that Vanessa Ogle founded is recognized by the world's largest hotel groups and leading digital signage networks as the premier provider for in-room entertainment and media solutions. Vanessa has more than 25 years of operational experience with technology companies, including: business development, marketing, finance, engineering, and program management. 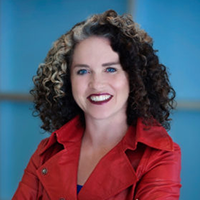 Prior to Enseo, Vanessa served as the Vice President and General Manager of 3dfx Interactive, a publicly traded California Corporation in the business of 3D graphics and entertainment products. In the ten years prior, Vanessa was with STB Systems and held various sales, marketing, and business unit management positions. This publicly traded Texas Corporation focused on the design and manufacture of high-end graphics and video adapters. Vanessa graduated from the University of Texas at Austin earning her BBA in International Business and Marketing, and a BA in Spanish, specializing in language and culture.